Superior, WI -- A Wisconsin refinery explosion has injured several people and caused a community evacuation. 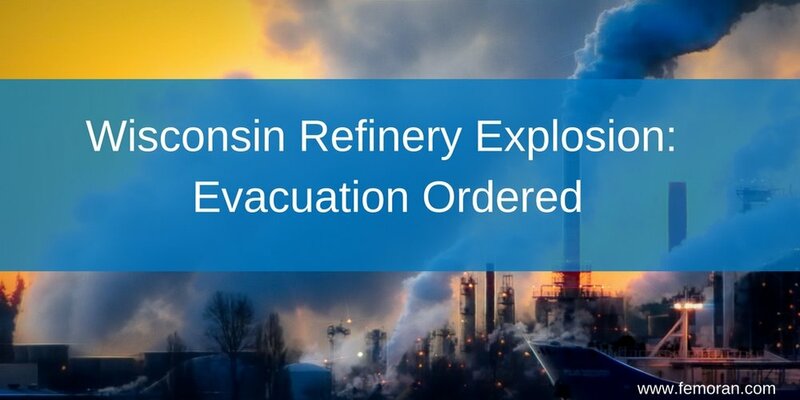 Authorities have ordered the evacuation of homes near the Wisconsin refinery that exploded in Superior, WI. The Superior police tweeted that the Douglas County Emergency Management Agency has issued an evacuation order. Anyone within a one-mile radius of Husky Energy needed to evacuate immediately. It is unclear how many people were evacuated. The refinery is in an industrial area, but there are local neighborhoods within a mile. According to a witness, the explosion sounded like a "sonic boom." It happened when crews were shutting down the plant to make repairs. The explosion injured 11 people and it isn't known whether there were fatalities yet. The injured were brought to St. Mary's Medical Center. Staff at the hospital described the injured as "alert and awake." Subscribe: Get our blog posts in your inbox. Older PostProject Managers - Are you looking to Upskill with an Online Course?